Mike, 49, grew up in California and spent 38 years of his life there. He received an undergraduate degree in Political Science, and graduated from Reformed Theological Seminary. Before accepting God’s call to fulltime missions, Mike worked in the California State Senate for 12 years. He became a Christian at the age of 20. Mike was a Ruling Elder at Soaring Oaks Presbyterian Church(PCA) for seven years. While at Soaring Oaks, Mike served as the Director of the High School Youth Group, Sunday school teacher, and instructor of evangelism. His cross-cultural missions experience includes five short term trips to Mexico, Belize, Guatemala and Peru (Lima and Cusco) through Mission to the World (MTW). He has volunteered with World Relief by teaching and counseling international refugees. 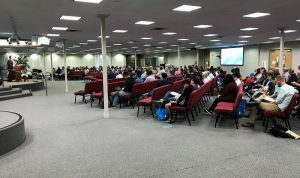 Mike has also attended cross-cultural church planting conferences in New York and Orlando and completed the Perspectives course on the World Christian Movement. He attended Bible Study Fellowship for two years. He is a certified instructor through Evangelism Explosion and is a certified trainer of the Darkness to Light child sexual abuse prevention program. He completed MTW’s Disaster Response Training. Mike is an experienced speaker and author. Over 70 of Mike’s articles on missions have been published and he has written four books. He is a trained and experienced mentor, discipler, leader and a passionate teacher of small groups and Bible studies. From 2007 to 2017 Mike served as a fulltime missionary for MTW. 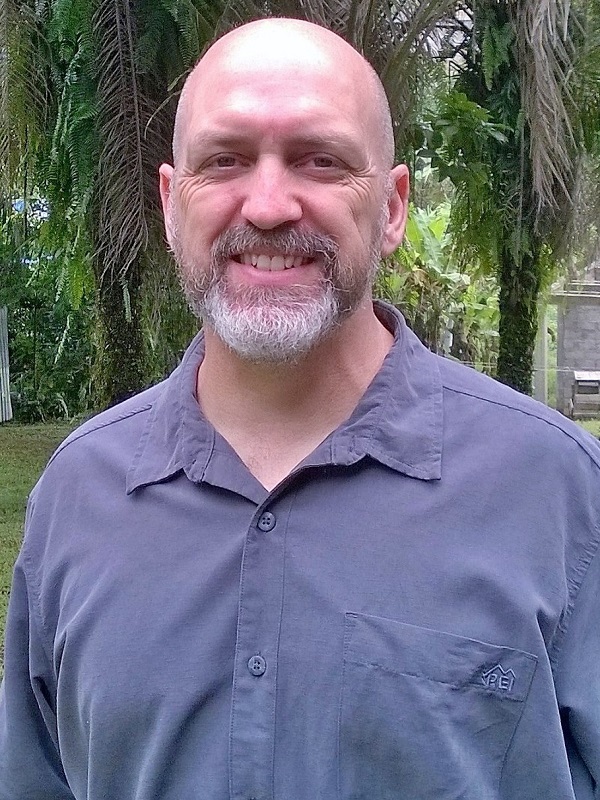 Mike served as Team Leader, Church Planter, and Seminary Professor. Mike and his wife Erin served in Honduras in Central America and Equatorial Guinea in Central Africa. Mike currently serves as the Director of the MTW West Coast Hub where he trains and mentors new missionaries from CA, AZ, & NV. Mike is also busy writing his next book. Erin, 50, grew up in urban, Central California. She received an undergraduate degree in Nursing and is currently pursuing a Master’s of Public Health, Population Medicine from Loma Linda University. Before accepting God’s call to fulltime missions, Erin worked as a Pediatric Registered Nurse for ten years. Erin has worked in Pediatric hospitals in California and Arizona. She has also served as a Nurse in two prisons and is a licensed Childbirth Educator. She became a Christian at the age of 16. Erin has been a member at Soaring Oaks Presbyterian Church for over fifteen years. She was on staff as the Director of Children’s Ministries for nearly three years. She has taught several adult courses, instructed all ages in children’s Sunday school and served as an officer for the Women In Church. Erin also served on the Missions Committee for over two years. Her cross cultural missions experience includes six short term trips to Haiti (twice), Egypt, Philippines, Sri Lanka and the Lummi Indian Reservation in Washington State. She has been an active volunteer with Compassion International and has completed the Perspectives course on the World Christian Movement. 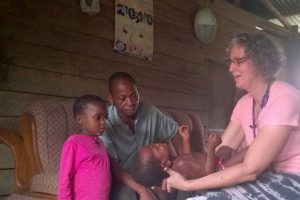 Erin has been trained and certified by Community Health Evangelism as a community health trainer, completed Equip International’s Missionary Medicine Intensive Training and has completed Mission to the World (MTW)’s Disaster Response Training and Advanced Medical Leadership Training. She is also a certified trainer instructor through Evangelism Explosion and a certified trainer of the Darkness to Light child sexual abuse prevention program. She participated in Bible Study Fellowship for two years. From 2007 to 2017 Erin served as a fulltime missionary for MTW. Erin served as fulltime nurse, and public health educator. Erin and her husband Mike served in Honduras in Central America and Equatorial Guinea in Central Africa. Erin is the author of Termites Ate My Couch: True Stories of a Missionary Nurse. Madison is a bright 22 year old. In the fall of 2014 she began studying at John Brown University in Arkansas. As a child she completed five years of Awana and two years in Bible Study Fellowship. She has been active in church all her life and became a disciple of Christ at the age of seven. 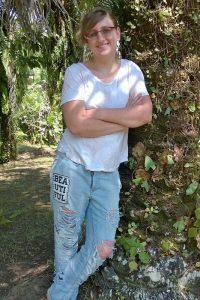 Her first cross-cultural missions experience took place in the Summer of 2006 when she spent a week on the Lummi Indian Reservation in Washington State. Madison has served as a short-term missionary in New York City in 2011, Belize in 2012, Colombia in 2013 and Equatorial Guinea in 2016. She served as a full time missionary in Honduras from 2008 to 2014. Madison was home schooled for five years and has attended schools in the U.S., Costa Rica and Honduras and graduated from Honduran high school in 2013. She has completed eight seasons of soccer, three seasons of swimming, one season of track and holds a brown belt in American Kenpo. Madison is married to Josh Place who is a missionary kid from China.